Building owners and managers expect fully automated and energy efficient operations, on line diagnostic of systems parameters to prevent failures, and on line diagnostic of problems prior to exposing occupants to deteriorating environmental conditions. A simple HVAC control is no longer acceptable by current standards. Controls and Automation for Facilities Managers examines principles and applications of HVAC engineering, outlining information for design, development of operations, logic, systems diagnostics, and building of environmental conditions with reliability and minimum operating cost. The book moves from the principles of mechanical engineering (related to HVAC systems) through DDC applications engineering, thereby summarizing complex topics of electrical engineering for mechanical engineers. 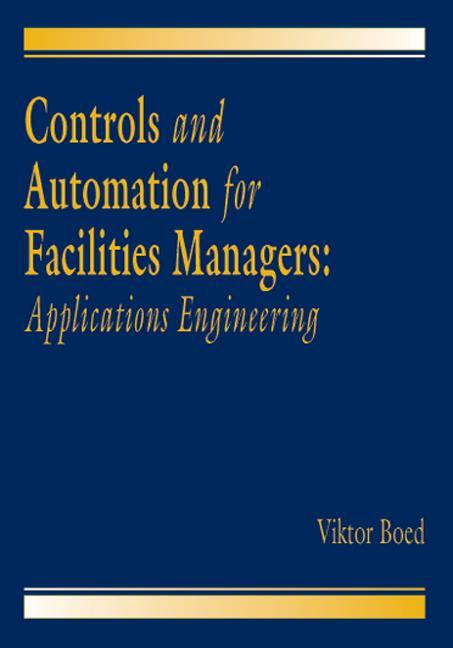 Controls and Automation for Facilities Managers serves as an exceptional guide for facilities managers and engineers, architects and consulting engineers, vendors and contractors, and other professionals in the design, application, and implementation of controls and automation systems for industrial, educational, institutional, and governmental facilities. This reference will enhance design, systems implementation, systems operation, and maintenance, effecting the ultimate goal of its readers - implementation of fully automated environmental control systems, trouble-free operation, and optimization of operating and maintenance cost.